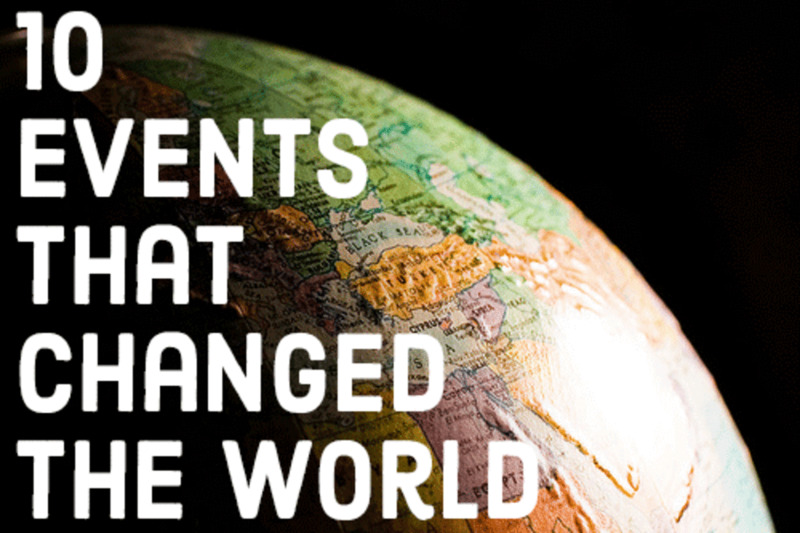 Why Did the Puritans Really Leave England for the New World? Cynthia is an administrator, has a degree in Business, Economics, & History, and is a qualified Hypnotherapist. She loves to write & travel. Thanksgiving is one of the biggest holidays celebrated in the United States. It is a time when families across the country traditionally come together to have a huge turkey dinner and give thanks for all the blessings and abundance they have received during the year. While it is a kind of harvest festival, this national holiday also looks back to the time when the Puritans first came to America in the 17th century to set up colonies in what would come to be known as New England. Why Did the Puritans Come to America? The accepted wisdom is that the Puritans were forced to flee England and Europe because they were being persecuted for their religious beliefs, and that they arrived in the Americas (which they regarded as an empty, previously untrodden land, despite the presence of the Native Americans) with ideas of creating a new society built on the ideal of freedom. While this is the prevailing history, is it really the whole story behind the Puritans' move to the new world? This article examines the true reason for the Puritans' move to America. For many hundreds of years during the medieval period, England was a religiously homogenous country practising the Catholic faith. Yes, some medieval English monarchs, notably King John, regularly fell from grace with the Pope, but on the whole English kings were good servants of the Church and heretics were burned (at times with the characteristic Catholic zeal and enthusiasm). Protestant beliefs and ideas began to enter the country during the early 16th century, when more fingers than usual began to point at the excessiveness and carnality of the Catholic clergy and monasteries. Demands were made for the bible to be translated so people could read the scriptures in English rather than Latin. Also, many expressed a desire for a simpler way to worship the deity that was different from the ostentatious Catholic rituals that were the norm. 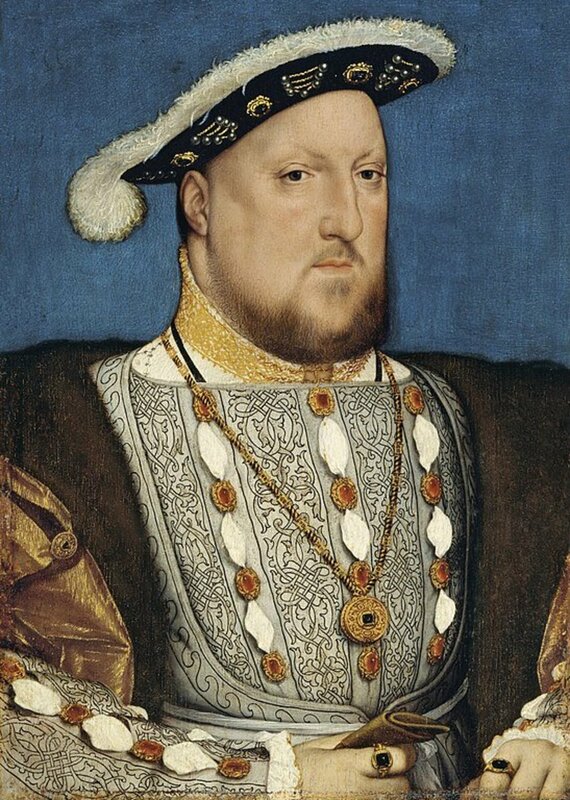 The break from the Catholic Church came when King Henry VIII came into conflict with the Pope. King Henry wanted to divorce his first wife, Catherine of Aragon, who had failed in her duty of producing a male heir to the throne. Granting a divorce was well within the Pope’s power, and happened rather more frequently than you may think in medieval Europe, but Queen Catherine had powerful relatives on the continent which made this procedure harder to execute than usual. One of Catherine's relatives was Charles V, the Holy Roman Emperor, who was one of the major opponents of the Protestant Reformation. So, after several years of bickering with the Papacy, Henry VIII eventually broke away from the Church of Rome to form the Church of England, with the ensuing benefit of being able to ditch his wife Catherine so he could marry Anne Boleyn, boosting his treasury by taking the money that came from the dissolution of the monasteries. But this new entity, the Church of England, was essentially the Catholic Church without the Pope and the monasteries. 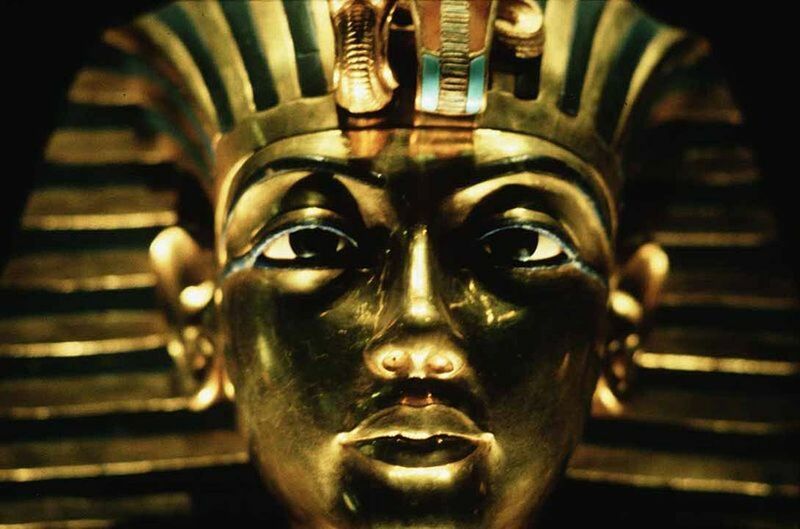 It was essentially a conservative institution with the king as its head. For the rest of the reign of Henry VIII, and that of subsequent Tudor monarchs, there would be fierce competition between the new Protestants and Catholics for supremacy. Several shifts of power would take place over the years that would see many innocent people caught in the political crossfire and executed for their religious beliefs. But there was also dissension among the Protestants themselves over how far the reform of the Church should go, and over the years a split began to form between the members of the Church of England. A new group began to emerge who would become known as the Puritans, who were virulently opposed to the elaborate ritual and liturgy of the Catholic Church that they believed was still too prevalent in the Church of England. They resented and wanted to eliminate any religious practices that in any way resembled the Catholicism from which this new church had sprung. The Puritans were adherents of the reformed theology of Calvin, and their beliefs attached great importance to preaching, the supremacy of God, a literal belief in scripture, and minimalistic worship without the rituals, crosses and ornate church decorations they so despised in the Catholic Church. Of course, this belief in the supremacy of God put them on a collision course with the rulers of the day who, having managed to wriggle free from the power of the Pope, were none too keen on having to moderate their rule in order to please a strict god. Still, King James I tried to find a way to reconcile the religious practices of the new Puritan clergy with those of the more conservative members of the Church of England, but the sense of alienation the Puritans felt from the established church continued to grow. The religious and political climate in England became even more febrile at the start of the 17th century. The Catholic cause was not helped by the Guy Fawkes plot of 1605, and the Puritans remained strongly opposed to mainstream royal ecclesiastical policy. Things came to a head when King Charles I came to the throne in 1625. In the first few years of his reign, the Puritans in parliament strongly opposed his royal authority. 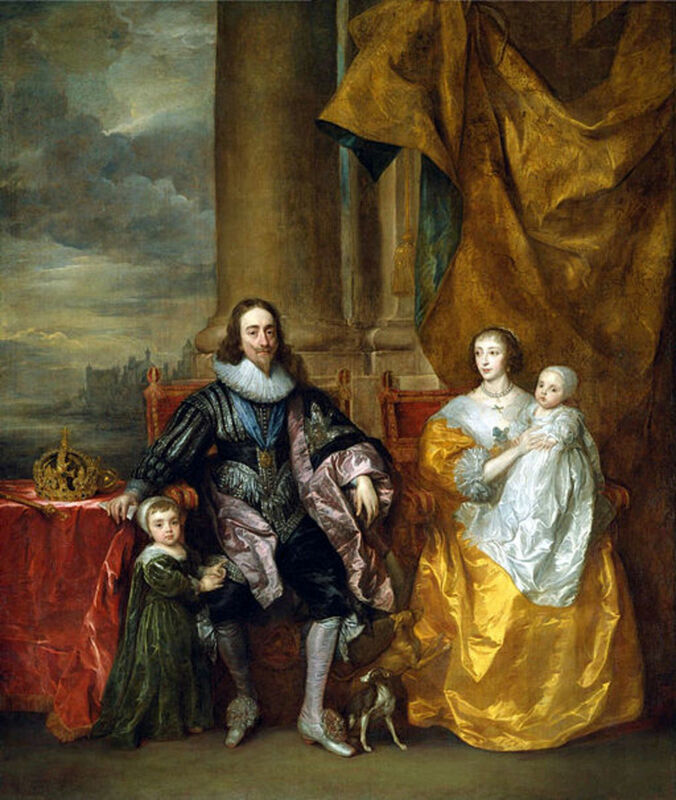 In order to maintain his royal power base and rid himself of those he viewed as his enemies, including many Puritans, Charles I took the unprecedented step of dissolving parliament altogether. The Puritans, probably quite rightly, interpreted this as a hostile act towards themselves and their religious practices, and so many decided to leave England and settle in the Americas, where they could develop their own communities based on their own beliefs. 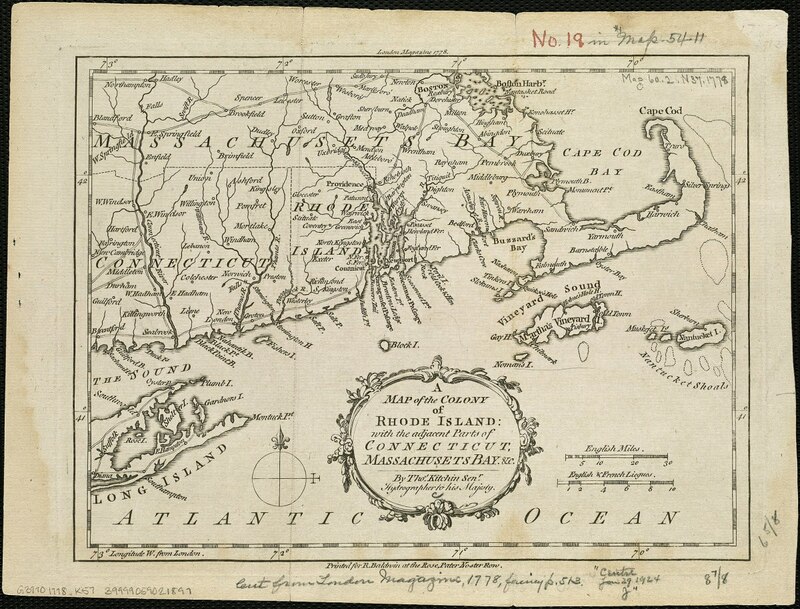 Most Puritans headed for the area now known as New England, where they founded the Massachusetts Bay Colony in 1629. In fact, the decade 1630-1640 became known as the "Great Migration," when some 80,000 Puritans left England and Europe for the New World. Most of these migrants came from the eastern counties of England, and they tended to be tradesmen or skilled craftsmen rather than farmers, as tradesmen and craftsmen tended to be more highly educated than was usual for the time. They were also affluent enough to be able to afford to pay for their own passage, and migrated in small, nuclear families. More men than women made the long sea voyage, the first of which was the Winthrop Fleet in 1630, which consisted of 11 ships and seven hundred Puritan souls heading in the direction of Massachusetts Bay. This mass exodus continued until 1640 when the English parliament was reconvened and the English Civil War erupted. In 1641, some of the new colonists returned to fight on the side of parliament and Oliver Cromwell. During the years of the civil war and throughout the protectorate that followed, the Puritans in England had no need to leave its shores. Oliver Cromwell was tolerant of an individual’s right to private worship, he embraced the Puritan way of life, and was intent on bringing about a moral and spiritual regeneration in the country he now ruled. Did the Puritans Tolerate Other Religions? The answer, unfortunately, is no. Once settled in New England, the Puritan communities demanded complete unity of thought and behaviour from their members, and neglected those who did not meet their religious standards. Still, there was dissent even among this very close, deeply religious community. The majority of the Puritans who settled in the Massachusetts Bay Colony went on to found the Connecticut Colony in 1636. These Puritans were non-separating, which meant that although they wished to purify and reform the established Church of England, they still wanted to remain a part of it. But if a new family turned up at the Massachusetts Bay Colony seeking to find a new home with like-minded folks, they were assessed and tested. If their religious beliefs and practices were found wanting in any way, they would be turned away. There were also groups of migrants known as separating Puritans, or separatists, who believed that the Church of England was so corrupt and resistant to reform that they needed to form their own congregations. One of the most famous of these separatist groups was the one hundred Pilgrim fathers who sailed to New England on the Mayflower in 1620, landing at a place that that became known as New Plymouth. This group is commonly called the Pilgrims. Many of those expelled from the Massachusetts Bay Colony moved on to help establish the Colony of Rhode Island and Providence Plantations, which had been founded by a separatist preacher called Roger Williams. Roger Williams had originally arrived in Massachusetts in 1631. He was initially offered a position as a teacher in the church there, but declined because he regarded it as an "un-separated" church. He also believed in freedom of religion for all, and was vocal in his condemnation of the civil magistrates in the colony punishing religious offenses such not observing the Sabbath or idolatry. He was extended an offer to preach at the church in Salem, which was more to his liking as a separatist colony, but this assignment was blocked by the leaders in Boston, and Williams moved on to New Plymouth towards the end of 1631. He soon came to view Plymouth Colony as not being sufficiently reformed or separated from the corruption of the Church of England, and he also espoused the view that the Colonial Charters were not valid because the land had not been purchased from the Native Americans, the original inhabitants of the region. Williams wrote an extensive tract in 1632 that attacked King James’s assertion that he had been the first king to discover the land of New England. This enraged the leaders of the Massachusetts colony, and when he returned to preach in Salem, he was summoned to appear before the General Court. Although he promised to keep quiet and not advertise his opposition to the colonial charters, he was unable to stop and began to insist that the Salem church separate. He became so troublesome to the powers that be that he was dragged before the General Court again in October 1635, charged with sedition and heresy and banished from the colony. Because he was ill and a harsh winter was coming, he was allowed to stay until the end of winter, but unable to remain silent about his views, he was forced to flee from the colony in January 1636. As a result, he had to walk over a hundred miles through the severe winter weather until he was saved by members of the Wampanoag tribe and brought to chief Massasoit. 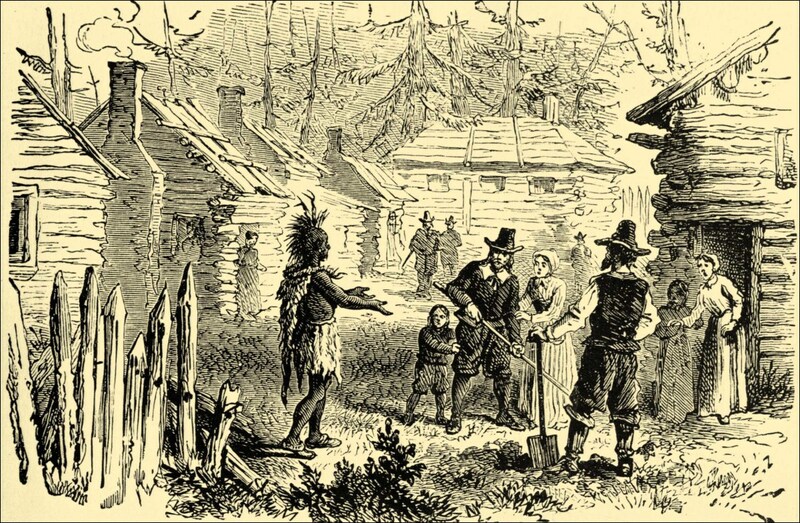 Williams sought to establish a new colony by buying land from Massasoit, but was told by the Plymouth colony that he was still within their land grant. He was forced to cross the Seekonk River and found Providence on land he gained from the Narragansett. Anne Hutchinson was another who was expelled from the Massachusetts Bay Colony for what were regarded as unorthodox religious beliefs. Hutchinson arrived in New England in 1634 with her husband and a large family of children. She followed a man named John Cotton, who had mesmerised her with his charismatic preaching back in England. For work, she served as midwife and held religious meetings for women at her home. These meetings became so popular that the men of the colony also started to attend, including the governor Harry Vane. What Did the Puritans Believe? To the Puritan mind, the fate of all men was predestined, so whether you would be saved or sent to suffer the torments of hell was decided at the time of your birth by God. Thus, leading a good life according to strict religious rules could not help you if you were not one of the chosen. The Puritans also believed that only someone who had been saved should be able to take communion and be a church member. The problem was determining who was saved and who was not. Out of necessity, they had to base their judgement on a person’s actions and professed beliefs, which were known as the "covenant of works." Anne Hutchinson and her followers rocked the boat by stating that somebody needed to have had a direct experience with God before they could determine whether or not they were saved. Also, if somebody knew that they had already been saved, why did they need to be bound by the strict religious rules and practices of the colony? The crisis this divergence in beliefs stirred up was called the Antinomian Controversy, and led to Anne Hutchinson being tried and banished from the colony in 1637. She received a warm welcome from Roger Williams, who was instrumental in persuading her to set up the settlement of Portsmouth in the Colony of Rhode Island and Providence Plantations. Did the Puritans Persecute the Quakers for Their Religion? Another group that was not allowed to practice their religion in the Massachusetts Bay Colony were the Quakers, who were led by George Fox after he began to receive direct revelation from an inner voice that he believed to be that of the Holy Spirit. The Quakers' belief of a personal, inner communication with God put them at odds with the religious beliefs of the Puritans, who placed paramount importance on the scriptures as being the only true source of God’s word. Two Quaker women who were persecuted by the Puritans were named Ann Austin and Mary Fisher. When they arrived in a Puritan colony from Barbados in 1656 on a ship called the Swallow, their possessions were searched and many of their books deemed heretical were taken away from them before they were even allowed to set foot on land. 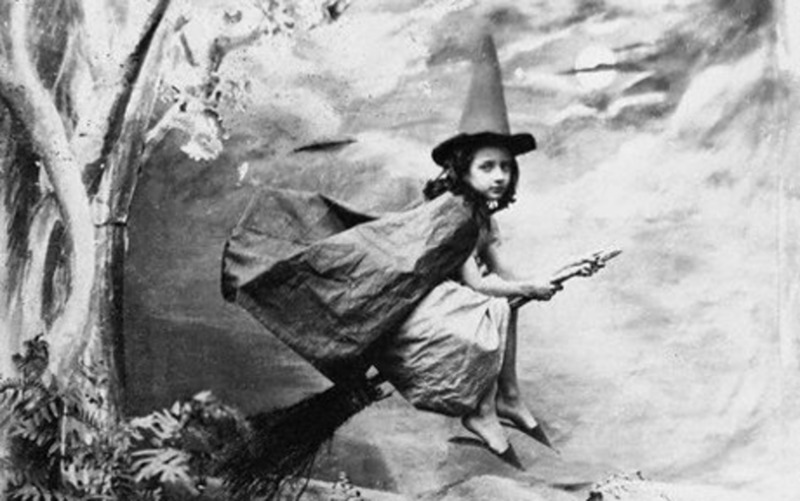 They were then taken to prison, where they were treated like witches and stripped searched as their jailers searched for physical signs that were thought to identify a person as a witch. Five weeks later, the captain of the Swallow was forced under duress to take them back to Barbados, and another eight Quakers were also forcibly repatriated to England after being imprisoned for eleven weeks. This influx of Quakers was considered to be so undesirable that a new law was created that imposed a £100 fine on any captain who brought a Quaker into the colony. Also, any colonist caught in possession of a Quaker book was fined £5. Finally, any Quaker unwise enough to try to settle in the colony was ordered to be arrested, whipped and expelled. This did not deter the Quakers from arriving in Massachusetts and trying to spread their faith. It was decided by the authorities that a much greater deterrent was now required: capital punishment. Four Quakers who refused to renounce their faith and stop preaching were hung between the years 1659 and 1661. King Charles II eventually intervened and ordered that all Quakers be sent back to England to be tried, which put an end to the executions, but not the banishments. Back in England, King Charles II was restored to the throne after the death of Oliver Cromwell. As a result, the Church of England achieved its former pre-eminence, causing the Puritans to again feel alienated and repressed. Now, around 2,400 of the Puritan clergy left the Church of England in what became known as the "Great Ejection." These Puritans formed their own separatist churches during the following two decades, which the government tried to suppress with the Clarendon Code. When this did not work, they tried to introduce schemes of "comprehension" that were designed to encourage them to return to the Church of England. This, also, was a failure. Somewhat ironically, during the years of Oliver Cromwell’s protectorate, there were many royalist supporters and staunch members of the Church of England who felt obliged to flee what they regarded as religious persecution from the Puritans. To get away from this Puritan nuisance, they migrated to the American colonies in Virginia. Of course, the poor Catholics were not tolerated by either the Puritans or the members of the Church of England, and even King James II himself was forced off the throne and exiled from the continent when he embraced Catholicism. Thereafter, a bill was passed in Parliament that prohibited future monarchs from being Catholics or marrying a Catholic. Why Did the Puritans Really Leave England for the Americas? Through this lens, it becomes hard to determine the difference between the persecuted and the persecutor. The Puritans in England and Europe certainly came into conflict with the established Church of England, which was deeply intolerant of their practices. The Church of England pushed back against these proposed reforms, which they regarded as attacks, and there was a continual fight for supremacy of belief and practice where neither party was prepared to back down or compromise. When the Puritans migrated to America and formed their own communities, despite the persecution they felt they were fleeing from, they did not extend religious tolerance to others, but instead insisted their new land was one of total unity of thought and practice. So, when you are enjoying your turkey next Thanksgiving and smiling at the holiday images of the pilgrims, just spare a thought for the poor souls who were not embraced by this brave new world, and who suffered banishment or even death because their religious beliefs did not match those of the people who had the greatest influence in the new colonies. Weren't a lot of the early settlers in America Jews who were fleeing Spain? I read that they were forced to either submit to the Church of England or be killed or expelled, so they fled to America. Some of the early settlers wanted Hebrew to be their official language, and forbid celebrating Christmas because it is a pagan holiday. This is not a subject I know a lot about, as this article is about the reasons why the Puritans left England for the New World. The Church of England had no jurisdiction in Spain, which was and is a Catholic country, so would not be able to force the Spanish Jews to submit to anything. I have done a bit of research, and it seems that the first Jewish settlers in what is now the US arrived from Brazil in the mid-17th century. The Spanish Crown expelled the Jews in 1492, and many migrated to northern Europe and then joined expeditions to settle in Latin America and the Caribbean. The Jews were expelled from England in 1290 and were not welcomed back until 1656 when Oliver Cromwell favoured religious tolerance (unless you were Catholic or Church of England) and no centralised state religion. How did the Motivations of the Colonists Impact Colonial Life? 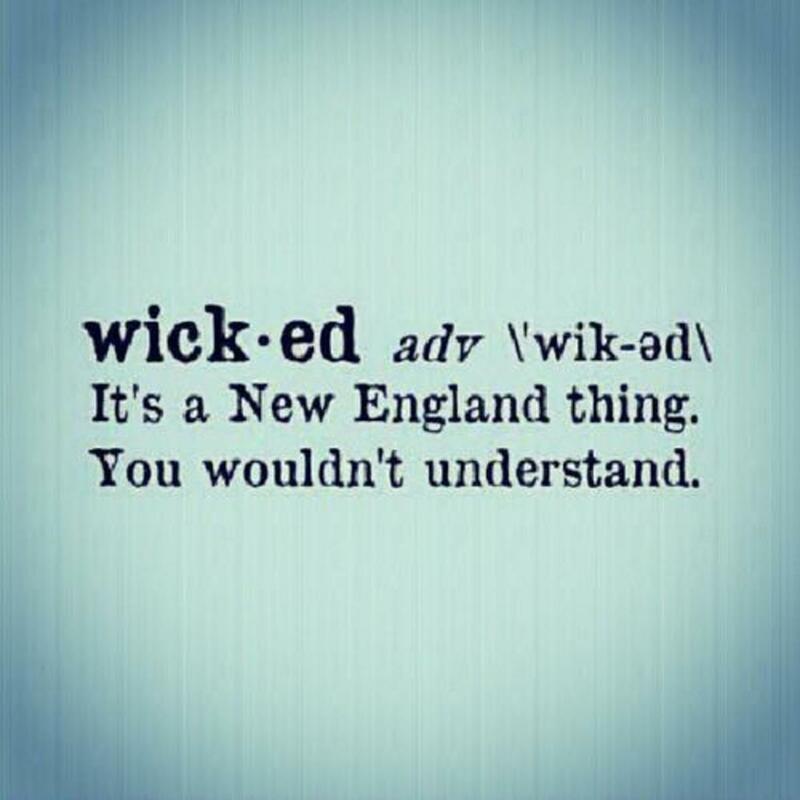 Wicked Slang Origin: Why Does New England Say "Wicked" and What Does It Mean? How Did the Puritans Influence the New England Colonies Politically, Socially, and Economically? You have inexcusably mixed the Pilgrims, who had what we now call the 1st thanxgiving, and the Puritans, who arrived later. I wanna know the real answer about why did the puritans left europe to establish a pure religion in the new found land (america)? Very good piece...except you downplay the roll of English Catholics throughout this period. The Puritans who settled Northern Ireland and the first colonies in the Americas, left England not to escape persecution - but rather because they were not allowed to persecute their Catholic enemies. Under Elizabeth and James Catholics formed a significant portion of the population...probably a majority for the first half of Elizabeth's reign. The main argument between the monarchy and puritans was about how to deal with the Catholics at a time when Europe was tearing itself apart with bloody religious civil wars. The English monarchs were extremely keen to avoid civil war. Targeted by catholic assassination attempts, they took a very practical and more tolerant line to stop catholic opposition from gaining support. Catholics were largely left alone to privately worship in peace as long as they were loyal to the crown. The puritans were vehemently opposed to this policy. They wanted to root out catholicism. So even though James 1 had been brought up a good Calvinist - he was increasingly disliked by many puritans. Charles 1, who had much stronger catholic leanings, was detested. In this light the Pilgrim Fathers did not set sail to escape persecution. Rather they were intolerant Calvinists who fled from an environment in which they were not allowed to persecute their Catholic religious enemies. Having met many of the fundamentalist evangelical missionaries that the United States has exported in recent decades, both in Central America and Africa - tolerance is something many in the US still need to learn about as well. My particular way out of your bind, Dream On, is to think of the Big Bang as God. From that point, all that is and later thought emerged from "God's Plan" as it were. From this beginning follows the idea that everything there is, including the human body, and all that is thought in the Universe are a part of God (think Pantheism ... sort of) and result from God's design. Except for one crucial question, in that theory can be found the answer to most of the perplexing problems humans face. The exception is the answer to "What came before the Big Bang?" After reading the real history and believing the lies told over most of my life I am torn between any religious belief. It is sad to think we believe lies until told otherwise. I heard religion was just a way of controlling the masses. Have you heard the Vatican still will not allow the real truth about Jesus and it is kept for the inner circle of the church only? I am not sure what to believe is real when there are so many conspiracy theories about everything today. How do you separate the fact from the fiction. Thank you for all your hard work and knowledge. Have a wonderful night. Glad to read the informative commentary. It was interesting about the Puritans, Anglicans and Catholics in England, and the Puritans and people embracing other types of faith going to America. 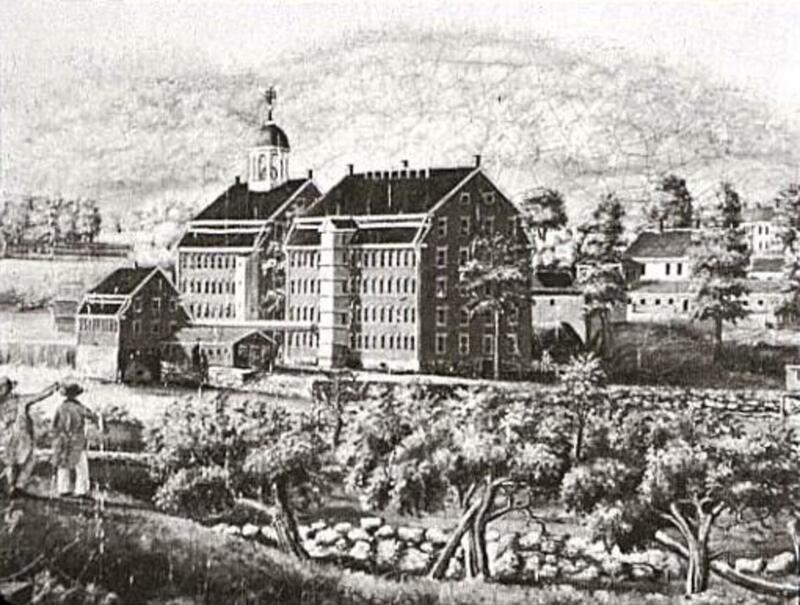 The Dutch had a substantial colony at New Amsterdam even before the New England Puritans and while they mandated the Dutch Reform Church belief, in actual fact, it was very multicultural with many English, some of whom were fleeing from the religious persecution of the Puritans in the Massachusetts Bay colony. Ann Hutchinson was killed by Native People, I think at a place called Split Rock, I think what became Brooklyn. Perhaps even more important to the British Empire was the invasion or occupation of Ireland by Cromwell and his allies. The native Irish, primarily Catholic and speaking Gaelic were displaced from their lands and properties and Cromwell disbursed or distributed the lands in Ireland to his followers, the debts he accumulated during the English Civil Wars being repaid with land he took from the Irish and distributed to his followers, I think primarily in the North of Ireland, but probably some in the South in the areas of Cork, which had been granted to Sir Walter Raleigh by Queen Elizabeth I. This set up the continued conflict between the Catholics and Protestants in Ireland, and eventually probably led to the Great Famine from abotu 1846 to 1849 when the potato crops failed, about a million people dying, another million people leaving Ireland, many for America but some to Australia and even England. This led to even greater conflict between the English and Irish and eventually to the bulk of Ireland revolting against England and becoming the Republic of Ireland. Probably Cromwell is blamed for many things which he didn't actually do, but no question he was one of the world's greatest military leaders in achieving his victory in the English Civil War, and his protracted war against King Charles I and eventually execution of King Charles I has resulted in the long term consequence of Parliaments and people's duly elected representatives governing with the consent of the governed rather than the Divine Right of Kings to Rule according to their personal preferences. While the Magna Carta was one of the first documents to limit the right of kings to govern, it did not have the absolute authority which the Parliament under the Lord Protectorate of Oliver Cromwell had. England for a time was a Republic and ironically, the Republic repudiated itself with the restoration of the Monarchy and submitted to Charles II. The monarchy subsequently continued to govern, unfortunately with disastrous consequences with the occurrence of WWI, which apparently was in some ways a contest between the Monarchs of Europe, many of whom were cousins being descendants of Queen Victoria. WWI probably was the beginning of the end of the governing Monarchies of Europe and the start of the dissolution of their empires with WWII eventually continuing the process and leading to the development of the nation states in our current world. Very well written and factual hub. The truth is finally starting to come out about the Church, the churches and the founding of this country. We would probably be under the same constraints if our Constitution had not been written by the deists. Thanks for reading the hub and leaving a comment Dolores. You would think that people who know what it feels like to be persecuted for their religious beliefs would be more tolerant of others, but often it doesn't seem to be the case. Unfortunately, too many of us think that what we believe is right, and that others have to share those beliefs. How sad that religion and the search for religious freedom wound up stigmatizing people of other religions. The constant battles for which would be the official state religion caused hardship for so many. The story of the Pilgrims, I believe, is made pretty for school children because they are children and don't really need to learn the injustices and cruelties of mankind until they are a bit older. Thanks Tony and I hope that your Elizabethan era novel goes well and becomes a success. For these periods in history, you just have to understand the influence that religion had on politics and people's behaviour. We might look on in bemusement now, but back then they were quite happy to die or kill for their religious beliefs. And unfortunately, we don't seem to have learned anything because we still do it today. Live and let live is my motto! what a well presented and well written hub full of interesting facts backed up with useful ilustrations. I am researching the Elizabethan era for a novel I am planning. This ephoc has fascinated me for many years, the intrigue and skullduggery of the times was so involved. Religion was the core of most people's lives and so the importance of any change was extreme. You have researched this really well. voted up and buttons. When the Puritans first came here they had a lot of trouble surviving. They wore the wrong clothes, didn't know what it eat, got sick and died, and sometimes nearly starved. The Indians of that area held a conference on what to do with these strange and baffling white people. Half of the tribe wanted to kill all of them before they took over any more land; the other half wanted to help them. So they struck a compromise: They brought them wild turkeys, which at that time were the Indian equivalent of beans on toast, nothing special, hardship food--just enough to keep them alive--and left it at that. Who knows what the real story was. Probably somewhere in between the mainstream grade school mythology and my friend's version. It's about that long since I read 'Green Darkness' as well. I used to hoover up historical novels when I was a teenager, and I think that I read all the Jean Plaidy, Victoria Holt, Elizabeth Goudge type novels that were in my local library at the time. I hope you enjoy reading it as much this time as you did in 1973. Nice to see that someone else likes the work of Anya Seton. I have three autographed books of hers that I had her sign in the late 1970s, before her death. I mailed them to her along with a return envelope. I believe that some of her novels may have gone out of print at times. It's hard to pick a favorite Seton novel, but I like Green Darkness, My Theodosia, and Devil Water. Off topic, but anyway, thanks for writing this hub. Thanks for reading the hub and leaving a comment gracenotes. This is not a period that I have written about before, but I find the subject of people demanding religious tolerance for themselves and then denying it to others very interesting. If you know what it is like to be oppressed then why would you want to oppress someone else? Anya Seton is a very good writer and when I was a teenager my copy of her novel 'Katherine' literally disintegrated because I read it so many times! Surely a fascinating time in American history. Always interested me. However, my ancestors came a bit later in the big wave of Scots-Irish immigration to North America. Some very good history (and occasional novels) have been written about this particular time. I like The Winthrop Woman by Anya Seton. Thanks for the history lesson. Glad that you found the hub interesting Green Lotus. It always mystifies me that a group of people can demand that everyone is tolerant of their beliefs, but then show no tolerance themselves. This was such an interesting point well presented. It's historical stories such as this that confirm my distain for organized religion. The hypocrisy demonstrated by the religious intolerance of the Puritans in America set the path for what became permissible intolerance today. Rated up! Hello CMHypno, Very well done. If you think about it, someone who leaves their country for religious beliefs is more than likely pretty dogmatic. That can easily set the stage for intolerance. Religious freedom in early America was definitely a misnomer in my interpretation of everything I ever read. I always found it interesting the way the Church of England was developed, not out of any religious conviction, but rather for the convenience of throne. Great information and well researched. Thanks for reading the hub Natashalh, and your thoughtful comment. I think that back in the 17th century, religious tolerance was a very rare thing, and that it was unfortunately indoctrinated into most people that their faith was the only true and right one, and that anyone who believed differently was bad and probably dangerous to have around. I love it. This is so true! I try to tell people this sometimes, but everyone has been taught the same old story of religious tolerance for years. Voted up, useful, interesting, and awesome! Thanks for reading the hub and commenting Nell. The courage of some of these people amazes me, when they knew what might happen to them if they continued to profess their faith or keep on arguing. I might not share their beliefs, but I admire their courage and determination. I'm glad that you enjoyed the hub so much My Esoteric and thank you for linking it to your own hubs. Quiet a well researched and also well written piece as usual, Cynthia. These first settlers in our great country had to be a bit hard-headed as well as strong willed to want to make a go of it in the new World. You've covered the religious aspects thoroughly also. Gotta rate this one up cause you know I am a history buff! Enjoyed! I think this a wonderful and informative hub as well, CMHypno. I will be including it as a link on several of my history and religious hubs. Much new on the Puritians history CM. They and the Quaker sect were unyielding religious zealots alright. Guess the Puritans more so, at least the Quakers welcomed people like Anne into their colony. Sometimes wonder what would have happened if the Dutch- who were at the top of the European game at the time- had really backed New Nether-land up to hold against the English. Might have made for some very interesting history. Thanks, CM, for providing so much of the information about the Puritan emigration that one never finds in the standard history books. Your writing just pulled me along. Well done. Voted Up. Thanks for visiting Pamela99. The same stories probably didn't come out of the Jamestown settlement, because it wasn't established for religious reasons, but was set up for trade by the Virginia Company of London. The supreme irony is that there seems to be a lot more tolerance and brotherhood of man, when people are concentrating on things that religious folk abhor such as making money. This is a well-written hub that covers history in the early 1600's and the intolerance of so many. I have studied this time also, as I do a lot of genealogy research. Many atrocities did happen in the name of religion and I imagine that is why many people moved south or further inland. You don't hear quite the same stories with the Jamestown settlement. Very interesting hub. Well I'm not 'saved' either Wes, which I view as a good thing. If heaven is stuffed full of religious folk, I'm glad I'm not going! Hi John, before the Protestant reformation in the late 15th/early 16th century all of Western Europe was Catholic. A lot of Eastern Europe was part of the Turkish Empire and there were tensions there between the Orthodox Church and the Muslim faith of the invaders. There are still many Catholics in Northern Europe, in parts of Germany, Poland and, of course, Ireland. Henry VIII before the reformation used to pride himself on what a good Catholic he was, and was awarded the title 'Defender of the Faith' by Pope Leo X. What he wanted was to get rid of his wife, not get rid of his religious beliefs which remained largely Catholic to the end and his last wife, Catherine Parr, was almost arrested for her Protestant beliefs. CMHypno - I can speak circles around most Christians with greater theological insight than the greatest majority I've ever met or read. ...I don't go to church - because most of what I see are pomp and circumstance, and an outright lack of understanding in favour of promoting social mobility, and social acceptance. ...so I'd imagine most Christians then or now - wouldn't consider me the slightest bit "saved." I, however, know quite the contrary is true. Thanks for reading the hub and leaving a comment Wes. I hope that not too many descendants of those earliest colonists are offended, but at the end of the day the Puritans lost out in the religious bullying stakes in England, so moved elsewhere to set up their own regime. Doesn't mean that the CofE enforcers were any better. I wonder what they would think of America or the UK now? Probably not too many of us 'saved' lol! This is a really great hub. I think it's great how you state that many English were Catholic at one point; it's the assumption by many that Northern Europe is mostly Protestant, whereas Southern Europe is mostly Catholic, and this isn't always the case. 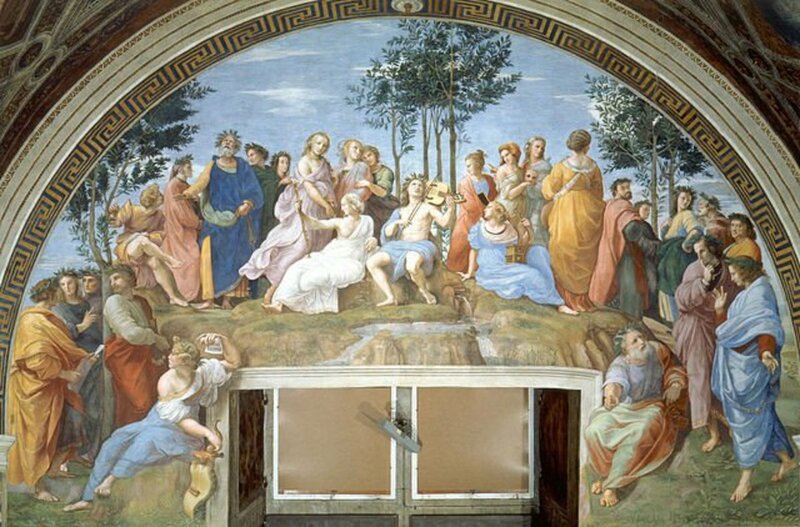 Additionally, in the beginning, there were little differences between the Catholic and Protestant Churches and it wasn't until later on that the differences became more and more apparent. Typically well written and thorough - you managed to not offend we great great great (pick your number of "greats") grandchildren of the immigrants much at all. I've always started with the notion that if it is taught in amoral American public schools, that it is merely corporate propaganda.